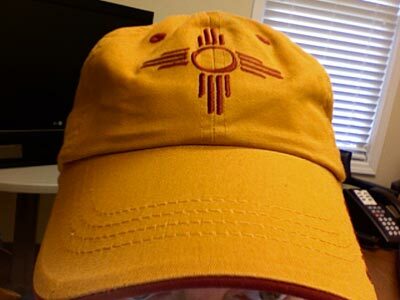 This is a new hat brought to me from New Mexico by Sharon. Isn’t it beautiful? Here in NC, we’re under voluntary water restrictions due to extreme drought conditions. Some of the people in my neighborhood are ignoring it though. I’ve noticed a few people washing cars at dusk, so as not to attract attention to themselves. I think we should have mandatory restrictions statewide. Some cities are fining people for car washing and watering lawns. This symbol is really neat and good vibe.